A sway bar bushing plays an important role in your suspension set up. Daystar polyurethane Sway Bar bushings are much more durable for suspension bushings than rubber. Polyurethane does not break down due to road grime, weather or oils the way the rubber can. Have the peace of mind knowing you have a long lasting part on your sway bar with Daystar's sway bar bushings. 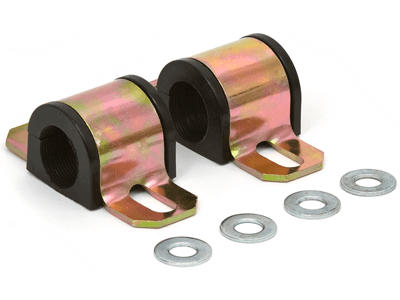 Daystar's polyurethane sway bar bushings provide a secure grip on the sway bar and does not warp over time. With this snug grip, your vehicle will see a performance boost similar to installing a larger sway bar.